Who Are the Deceived Your Bible Describes? Compare to Genesis 3 where we see Satan teaching Eve to worship Gods, not Yahweh. · Verse 5 shows the Gods are evil. · They are not Righteous like Yahweh. All the world worships Gods in this generation, except The House of Yahweh, and all the world is shown to be deceived. 19 We know that we belong to Yahweh, and that the whole world is under the control of the Gods. · The elders of Israyl were in power in Yeremyah’s day. 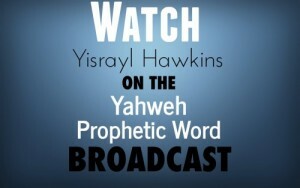 · They even threatened to murder Yeremyah for prophesying in the Name Yahweh. This religious system was against Yahweh and His Righteous Prophets from the beginning. · Remember, Satan teaches them to be evil like the Gods. · She teaches them to practice sin like the Gods, instead of practicing Righteousness. · They do not practice the Ten Commandments. This whole religious system teaches and practices disunity by enforcing rebellion on all nations. Can two walk together unless they are in agreement?